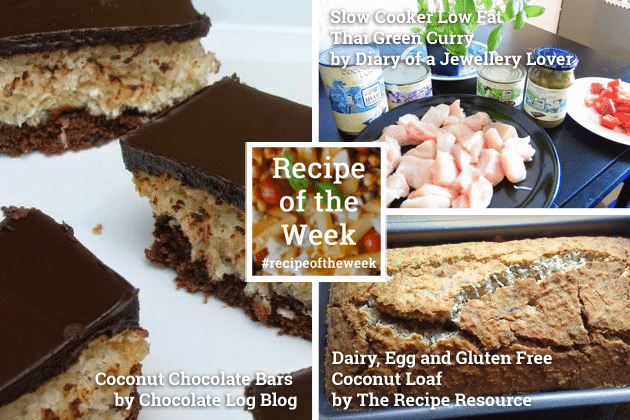 But first, here are just three of the brilliant recipes linked up to #recipeoftheweek last week – they all use coconut differently with mouthwatering results. 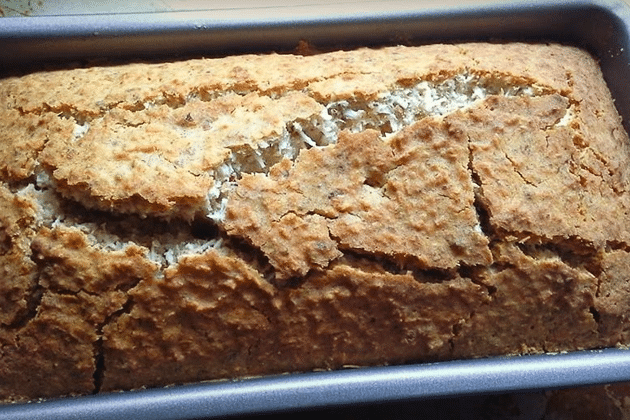 First up, Dairy, Egg and Gluten Free Coconut Loaf by The Recipe Resource. Imagine a slice served warm. Swoon. 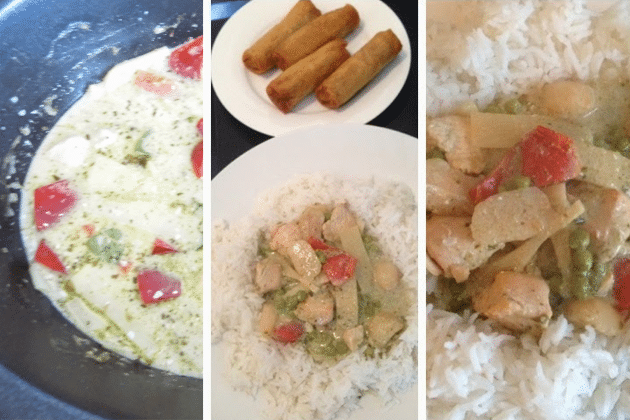 Next, Slow Cooker Low Fat Thai Green Curry by Diary of a Jewellery Lover. It looks perfect and it just so happens that thai curry is my favourite meal. Yum. 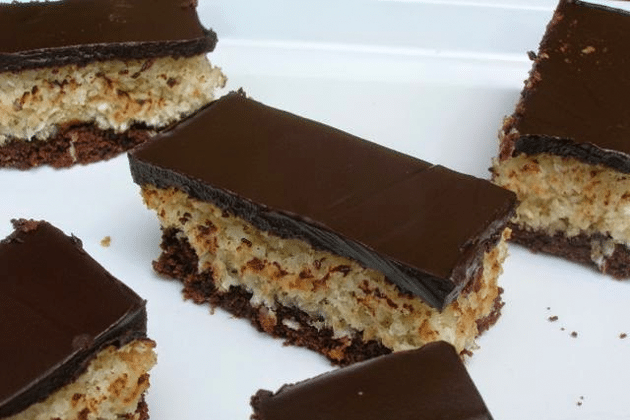 And finally, Coconut Chocolate Bars by Chocolate Log Blog. Don’t they look wonderful? I can almost imagine the texture as you bite into one. Drool. Those coconut chocolate bars look amazing!!! Thanks for including my coconut bars. I do love coconut and thai curry is an absolute favourite. Just about to check out both of the other coconut entries. Ohh the coconut chocolate bars do look wonderful! I will most certainly be trying those! A brilliant round up, I love all three recipes.